So, what causes this color change. Eggs pick up their color from deposits of pigments as they move through the hen’s oviduct. The color can be attributed to the chicken’s genetics. Different breeds of chicken produce eggs with different colors. These colors have been achieved mainly by cross-breeding. Despite the difference in color, the chicken eggs do not exhibit any difference in nutritional value. This means that white shelled eggs are not necessarily less nutritious than brown-shelled eggs. The taste is also not different since the taste of the eggs is attributed to the food they eat. 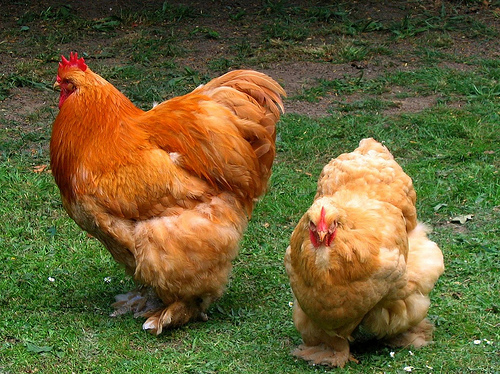 Let us have a look at some of the different breeds of chicken and the color of the eggs they produce. It is a common belief that white eggs are less nutritious than brown ones. This is false. In many cases, chickens with a white ear lobe tend to lay white eggs. Chicken breeds which produce white eggs include Bantams, Leghorns, Ancona, Buttercup, Campine, Hamburg, Holland, Houdan, La Fleche, Minorca, Modern Games, Polish, Sultan, Sebright, Sumatra and Icelandic. Brown eggs are said to be laid by chickens which have a red ear lobe. This is not always true but it happens in most cases. Brown eggs differ in shades, ranging from dark brown to light brown. Below is a list of brown eggs and the breed of chicken that produce them. Light brown: Shamo, Turken, Cochin. 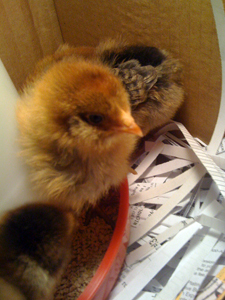 Moderately brown: Red stars, Black stars, Brahma, Buckeye, Dominique, Delaware, Golden Comet, Wyandotte, Rhode island, Orpington. Dark brown: Penedesenca, Malay, Langshan. Brown with white specks: Russian Orloff. Chicken eggs can also be cream or have a tinted color. Breeds that produce such eggs include: Catalanas, Cubalaya, Faverolle. Hampshire Red, Phoenix and Rosecomb. 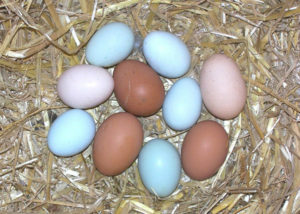 Eggs also come in other colors such as blue, green, olive and pink. The main breed of chickens known for producing blue eggs is the Araucana. The Araucanas can also produce green eggs. The Ameraucana lays blue eggs. 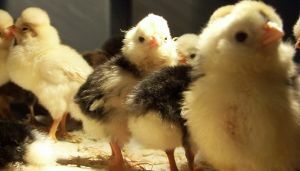 It is also possible for a particular breed of chicken to produce two different colors of eggs. Therefore, you should not be surprised when your two hens of the same breed produce eggs of different color from each other.